You will learn digitizing techniques and concepts through new artwork as Stephen breaks down the anatomy of the design. In addition to the video instruction, you will receive a workbook full of information, instruction, and insights all of which will come together to make digitizing and embroidery more fun and easier than ever before. This product includes over 8 hours of instructional video and 50+ designs loaded on a USB stick, plus a 100+ page workbook in a sturdy 3-ring binder. 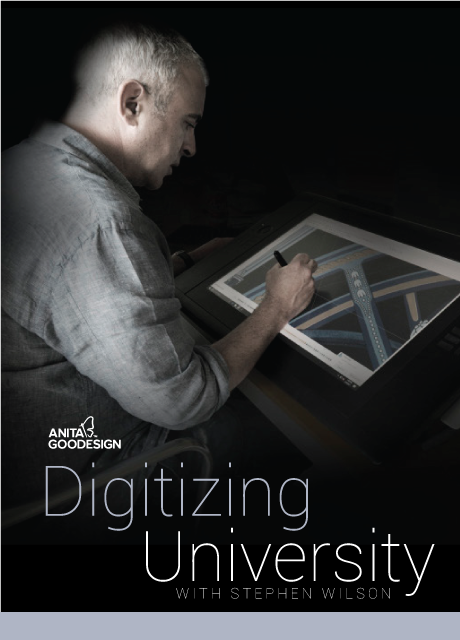 This class is FREE with the purchase of Digitizing University from the QC.